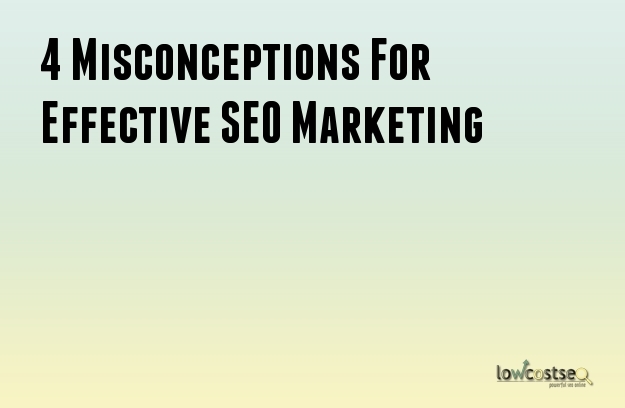 When it comes to SEO, it’s quite easy to make misconceptions if you’re not fully informed of the processes involved. We know a thing about two about developing truly powerful SEO marketing services, which is why we understand what you should – and should not – be doing when it comes to gaining better exposure. Social media likes are highly useful, but they don’t represent links or any value in terms of SEO. While they are highly useful for reaching new customers, they don’t influence Google. This is something that happens more often than you think. Got a new, secondary website for a promotional item or service? If it hasn’t got any effective links back to your primary website, this separate domain will do very little for you, no matter how well it’s shared on Twitter of Facebook. Even today, this is a mistake seen by a number of leading brands. Similarly, simply spamming links out doesn’t work either. While quantity is taking into effect, Google much prefers links of high value. A link to a mechanic business, for instance, has no place on a home design block. Google’s bots would easily pick this up and, with enough occurrences, this could actually bring your SEO position down. The same can be said for content. There’s a reason blogs and other websites insist on filtering content through the likes of Copyscape. Other than plagiarism issues, reproducing the same content can also trigger Google to unfavourably mark your website. Content should be unique, and your website needs to reflect that. Similarly, many people don’t understand the true power of a link. On one hand, yes it’s a link for SEO, but it is also much more than that. A link needs to be relevant, as discussed above. It also needs to be prominently visible. If its hidden behind an author bio on a separate page, it gets buried into the code and loses its influence. This is perhaps one of the best reasons to invest in quality SEO marketing packages. We understand the links that work and the links that don’t. Let’s keep this last point simple: If you just develop SEO links and content where you can, you can attract the wrong audience. While you may get improved SEO results, there isn’t a strong return on investment of the audience in question isn’t remotely interested. In short, SEO is not always easy, but these are some of the common mistakes many companies still make on a regular basis. This is why it helps to have experts on your side taking care of this, as well as keeping up to date with all the latest algorithm updates and changes. Here at lowcostseo, we’re always available to help and we have plenty of expertise in building high quality SEO marketing strategies.